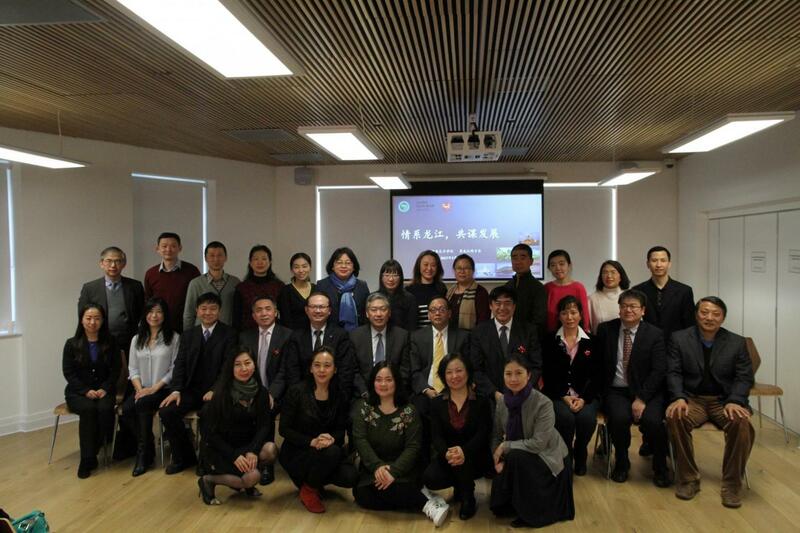 On 24th March 2017, to mark the first anniversary of the establishment of the Heilongjiang Fellowship Association of the United Kingdom (HFAUK), the Confucius Institute for Traditional Chinese Medicine (CITCM) and HFAUK held a symposium at Caxton House. The symposium was titled "The Fellowship and Development of Heilongjiang Province" and explored cooperation and development opportunities in fields such as Sino-British talent, science and technology, economic and trade and culture. Lu Haitian (Counselor of the Overseas Chinese Affairs Office of the British Embassy) and Professor Xu Yinong (Executive Director of CITCM) both attended the symposium and delivered insightful speeches. 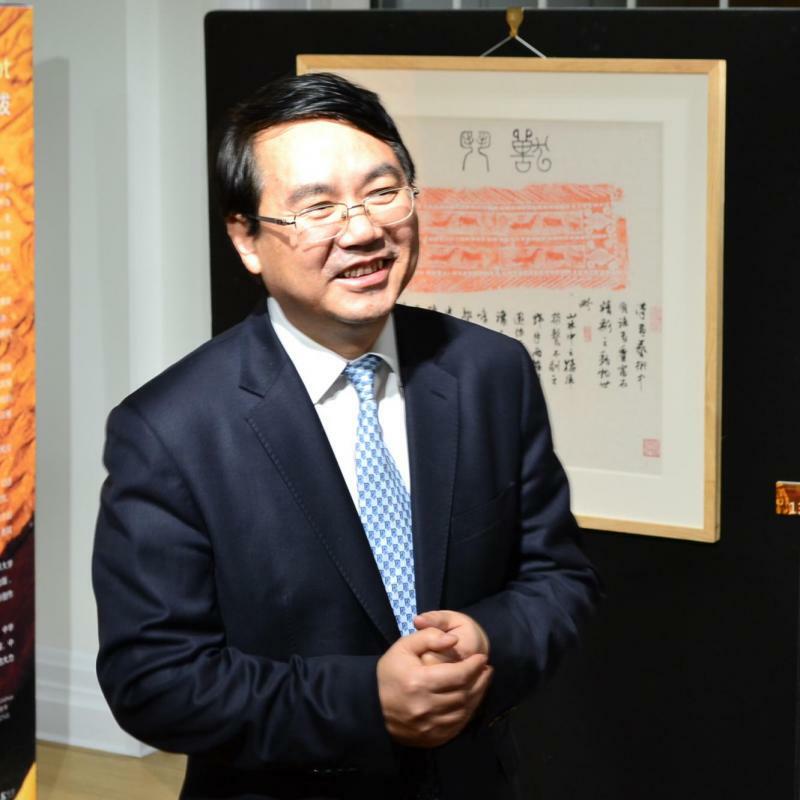 Mr. Wang Haimao (President of HFAUK) began the symposium by expressing his gratitude to the fellows in the UK for the enthusiasm that they displayed when contributing to China – UK cooperation. 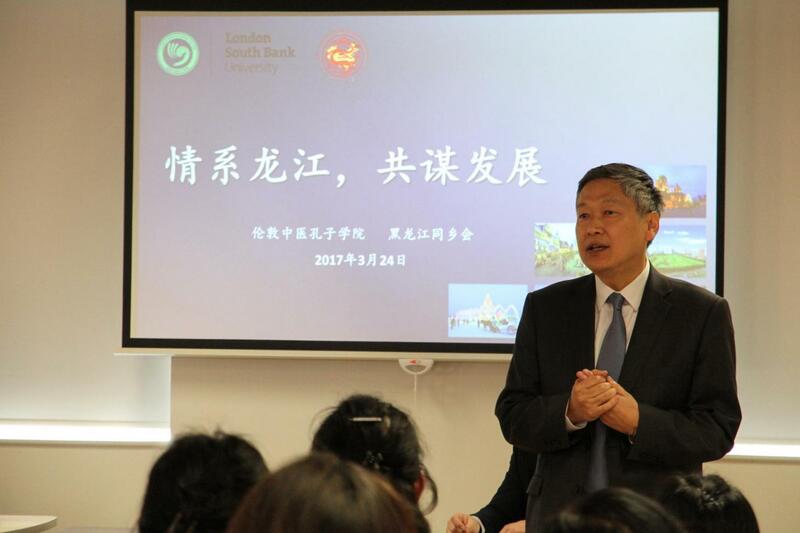 The second speaker, Counsellor Lu Haitian (Counselor of the Overseas Chinese Affairs Office of the British Embassy) praised CITCM’s great achievements and expressed his desire for HFAUK and CITCM to work more closely in order to strengthen the cooperation between the UK and Heilongjiang in various fields. Mrs. 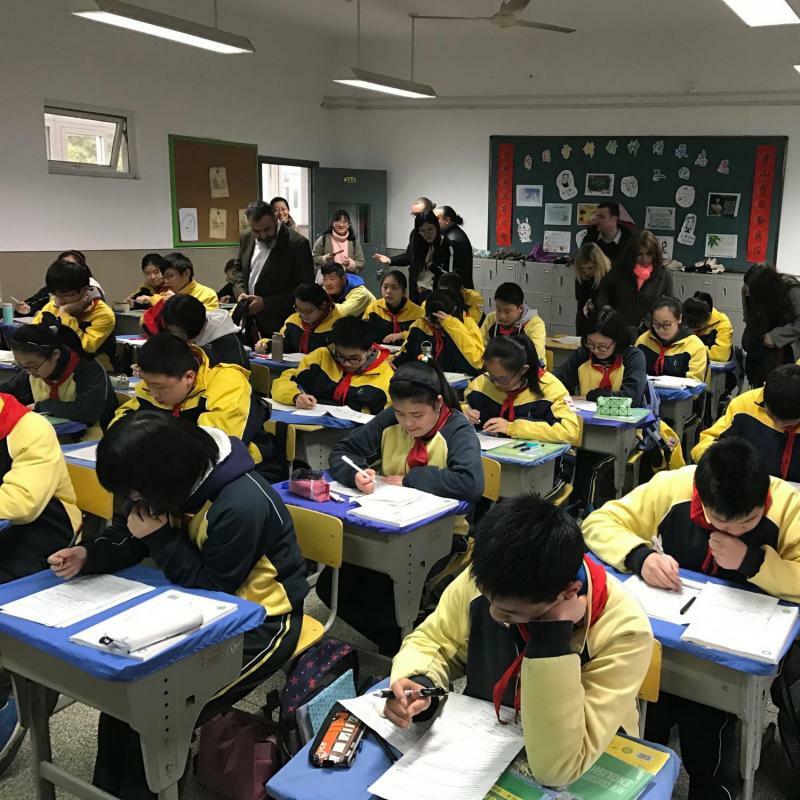 Fan Wei (deputy director of Foreign Language Education Research Department of Heilongjiang Institute of Education, and current teacher at CITCM) proposed to build a platform of international education exchange for Heilongjiang by taking advantage of HFAUK and CITCM. Professor Wang Tianjun (Senior lecturer in acupuncture and moxibustion at the University of East London), Lei Yungyun (general representative of the China International Talent Exchange Association) and Yuan Li (Professor of the University of Manchester, UK) also delivered keynote speeches and offered valuable suggestions for various methods of cooperation and communication. In the end, Professor Xu Yinong highlighted that CITCM is not only the first Confucius Institute in the world with a specialty of TCM but is also the largest Confucius Institute in terms of scale. He also introduced the role that CITCM has played in enhancing cross-cultural understanding and engagement at both a local and national level. Moving forwards, CITCM plans to work more closely with HFAUK as both of our partner universities are located within Heilongjiang province.